One might first ask the question what does Löwith mean when he says, “essence and ‘meaning’ of history”? This is a crucial question, but let us, for the time being, say that it amounts to asking whether in Hegel’s or Marx’s philosophies history is self-contained and self-caused. We then can proceed, rather uncritically, to Hegel. Hegel sees history as the advancing self-manifestation of the Absolute Idea in time. It is not the collective unity of all the ideas or consciousnesses of men in the progress of history, but rather the manifestation of the Idea as history itself – in the historical model. The self-manifestation proceeds in distinct historical states. The Absolute Idea as treated by Hegel in his Phenomenology  is also seen to advance by means of the Hegelian dialectic to a self-comprehending complete unity. As it progresses from subjective spirit (whose content is the human mind viewed subjectively as the mind of the individual subject) through objective spirit (whose content is objective spiritual institutions) to absolute spirit (the Absolute Idea as spirit in and for itself), the spirit progresses towards its ultimate freedom and self-expression and liberates itself from subjection to nature. Here it is the spirit that is the determining factor, the cause of change. History itself as manifested in historical facts and concrete details is a mere reflection of history qua Hegel’s concept of history – the abstract progress of the spirit. Thus everyday life is not truly significant (historically) to Hegel unless some minor everyday event can rise to the level of a truly historical event. No individual person is important to history unless he rises to become the expression of some abstract historical concept. Marx’s critique of Hegel is that he has presented an abstracted movement of mind – not true history (as Marx sees it). Thus he says, “the whole history of the alienation process and the whole process of the retraction of the alienation is therefore nothing but the history of the production of abstract (i.e. absolute) thought – of logical, speculative thought.”  Thus the principle of movement in Hegelian history applies to abstract thought entities which are in turn manifested in everyday experience. (This criticism of Hegel is directed at the Phenomenology as an historical presentation, nevertheless the criticism here referred to applies to Hegel’s position on history). For Hegel, the Spirit (the Spirit of the Age) exists not over and above time, not objectively outside of time manipulating historical events, but in time, that is, in the eternal present. The Spirit has within itself all of past time (it is the historical consequence of such) and the prospects of the future. It doesn’t externally create history, its progress in the historical mode is history. It is important, however, to distinguish between the Idea as the process of the Absolute Spirit (that which is the subject of Hegel’s Phenomenology of the Spirit) and the Spirit as world history. Thus returning to the original question taken from Karl Löwith, we can see that the spirit within history is not the true essence and meaning of history, for the Idea as expressed in the Phenomenology as it attains its dialectical development is not in history as such; history is only its expression in the historical model. Thus the Phenomenology of the Spirit is the essence and meaning of history (to Hegel) but it is not itself within history. It is on this count that Marx attempt to break off from the Hegelian dialectic in favor of what he calls “naturalism”. By taking this position Marx sacrifices some of the beautiful completeness in Hegelian doctrine for his humanistic naturalism. Marx defines history as the true natural history of man. His theory of history is somewhere in between the materialism of Feuerbach and the idealism of Hegel. Marx sees true history as the history of living, concrete, suffering man, but he does retain some level of abstraction in his dealing with sociological and economic forces as abstract historical concept. Thus we have the positions of the two philosophers of history with regard to what history is. To understand, however, the essence and meaning of Hegel’s and Marx’s conceptions of history, we would do well to consider how they treat history as a dynamic process. Hegel is relatively obscure on this point (more than his usually obscure self), because he presents his Phenomenology of the Mind in an historical context. This seems to be inherent in his method of presentation – the Spirit proceeds from subjective spirit to objective spirit out of a dialectical necessity; the time lapse involved is only incidental to the real relationship. That is, we tend to personify Hegel’s abstract notions and picture them in an historical setting, but, in truth, the Phenomenology is not a direct explanation of history. The dynamics of Hegel’s historical theory involve the dialectic of negativity. Spirit, as it attains the expression of the unity of the Idea in itself (as expressed in the Logic) and nature (as expressed in the philosophy of Nature) proceeds through other stages, always positing its opposite, and then, by comprehending the two conflicting concepts, transcending the opposition to achieve a higher unity. Marx criticizes Hegel for often using this method to abstractly move back to the originally posited concept. Thus he views Hegel’s process as a negation of negation and instead of a true transcendence, is one-sidedly resolving the opposition in favor of one particular side. Marx cites Hegel’s return to religion as an example. The criticism touches on an important aspect of Hegel’s system – the realization of Hegel’s principles in the real world (the manifestation of the Idea in art, history, etc.) is often extremely difficult to accomplish. Just what constitutes the Spirit of the Age is more than just a procedural question; it points to a fundamental weakness in Hegel’s method – namely that of establishing the Spirt after the fact. When one looks back in history, one can always cite events that are turning points and see many events, viewed collectively, as a logical pattern. But there may have been other logical patterns in the making which didn’t quite achieve culmination and are thus overlooked by historians. This results in an arbitrary selection of pattern-forming events (those which actually reached their logical fruition) as historically significant (when looking back into history). When the historian examines the threads leading up through his present existence and attempts to predict the future, he no longer has the great advantage of knowing the result. Thus two historians using the dialectical method may attempt to classify historical events on the basis of some abstract formalism, and, because they don’t have the outcome of history in front of them, these two historians may reach opposite conclusions. This indicates that the selection of historical events as significant (and hence as representing the Spirit of the Age) may be arbitrary classifications which predict, as it were, the pasts, and – lo and behold – they are correct! Marx indicates an understanding of this fundamental weakness, but refuses to reject the method; he only modifies it. Marx brings history in close contact with real events. He criticizes Hegel as dealing only in abstractions, yet he himself deals in only relatively less abstract abstractions. Rather than Hegel’s extremely abstract notion of man bing self-consciousness, Marx views man as natural, yet he is still speaking of man as laborer, man qua capitalist, i.e. a lower level of abstraction. For Marx’s period this was the most particular and individuated body of knowledge with regard to man – economic, but it was not any ultimate reduction to natural man. Thus for these two men and for subsequent historians, the study of history entailed dealing with abstractions. In attempting to organize historical data and explain history, a systematic approach was necessary. Some historical facts are thereby rendered significant and fundamental to the march of history, while others are merely incidental effects of these first, as all data are placed somewhere in the systematic framework. To speak of a world-spirit that is the manifestation in the historical mode of the Absolute Idea is one way of systematic explanation. Because its dynamical principle, its reason for change, is not within history itself, Hegel’s system would seemingly have great significance compared to more descriptive bodies of thought. A purely descriptive body of thought attempts to explain phenomena on the basis of cause and effect. That is, if condition A is present, then B will follow. The concept of B is not in A (since B is different from A, otherwise we would just have A followed by A). We merely form a systematic body of thought based on this causal situation. There may be intermediate stages between A and B (found by a more thoroughgoing analysis) which are causally related, but not one of these causal relationships ever provides us with a reason as to why condition A is suddenly followed by different condition B. This is not what descriptive science is concerned with. Therefore descriptive knowledge tells us nothing with regard to the ultimate cause. Since, as above, cause-and-effect is not ultimately explanation, but merely description (elaborate though it may be), it is useless to attempt to explain (find the reason behind) natural phenomena by retreating to the ultimate cause. There is either an infinite regression of causes back into infinity, or there is a first cause – neither of these leads to anything but mystery with regard to ultimate meaning. By the use of the principle of causation, descriptive sciences set up fundamental laws that enable one to predict the future. From the present condition A we can prediction condition B with our causal principle. The ultimate test for a scientific law is whether it is successful at prediction; if it isn’t, then a new relationship must be found. A descriptive science can exist for any level of abstraction, as long as it successfully organizes its abstract conditions into causal relationships for valid prediction. Thus it is possible to treat historical phenomena as bases of a descriptive science by obtaining causal relationships among historical entities. Economics is another example of a descriptive science on another level of abstraction. When economic theory (i.e. Say’s Law) failed to successfully predict economic behaviour during the 1930s, a new body of descriptive thought was necessary (Keynesian analysis). Neither of these two methods of describing economic behaviour was any more fundamental, true, or reasonable, in any absolute sense; it just happened that one method correctly established causal relationships, and the other didn’t. Thus if one looks for the “ultimate meaning and essence” of a descriptive science, one must find it within that science. That is, for economics, it was found that Say’s Law was no longer a valid causal organization of economic abstractions from real life. Economics has no inherent comment on why Say’s Law failed. (It may have actually been due to a fundamental psychological, that is, non-economic, change in consumer attitudes. In other words, it may have been a result of a change outside of economics. But for economics as a body of thought, it is purely descriptive and not concerned with any reasons outside of predicting observable phenomena.) Thus also in physics, there is no ultimate essence or meaning outside of it as a descriptive body of thought. Physics from 1890 to 1930 underwent a complete overhauling in order to yield successful prediction. It was found (in 1890) that under the system of causal relationships then regarded as accurate, new physical phenomena could not be successfully predicted; causality was denied. Even though “classical” physics successfully described a great realm of observation, it was completely overhauled and new definitions of physical states (the conditions A & B of physics) were found that restored the principle of causality to the physical states. (Although it yielded a fundamental uncertainty for individual events, these single events were no longer states, no longer in the causal framework. Causality in physics today is related to the new definition of state which relates to statistical averages of events.) Thus physics resolved its conflict in favor of increased causality – it had to in order to advance as a descriptive science. Thus a descriptive method of thought can apply to any sphere of knowledge, in particular, history. And its essence is determined within its nature (its moving principle). But a descriptive science carries with it no real meaning, no reason behind its network of causal relationships. If, rather than describe a field by presenting a first cause, of which the world is an effect, one presented a first reason of which the world is the consequence, then would there be meaning. Reason exists outside of a descriptive body of phenomena. That 1 + 1 = 2 is a fundamental product of reason can be seen as well as the fact that it is not dependent on any real observable data for verification. Thus in the realm of reason we have logical necessity which is not verified. If we could see condition B as a logical necessity to condition A, if we could see the reason for it; then we could reach an understanding of the meaning of the relationship. Now we can see what Hegel’s position was in light of the above. For Hegel, reason, in the abstract, was the first principle. Reason as a universal is the meaning (the Idea), and the world it its logical consequent. 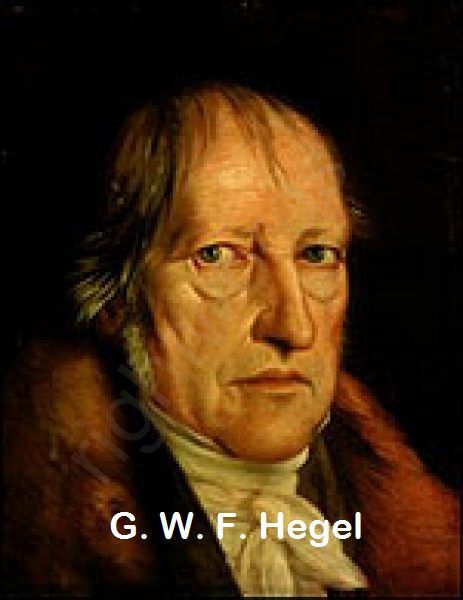 By taking all of reason (reason in and for itself) as his ultimate principle, Hegel did not have to go beyond the Idea for a reason of this reason (no infinite progression). Hence the Absolute Idea is its own logical consequent, unlike a first cause. Hegel, as mentioned above, presented history as the manifestation of the Absolute Idea in the historical mode. This relationship seems rather obscure (it have seems so to Marx) with regard to the real phenomena of history. Certainly the connection as “manifestation” seems indefinite. We can see Marx then as attempting to relate history more closely with real events (though still on a rather high level of abstraction) by attempting to treat it as a descriptive science. He takes the historical entities of the day (abstractions of the more everyday, less significant events) and attempts to apply the principles of a descriptive science to history. Regarding Marx from this point of view, we may simplistically view Hegel as the true speculative philosopher, while Marx was really a would-be scientist. “all the forms in which the community imputes to the subjects a specific objective unity with the condition of their production . . . necessarily correspond only to a development of the forces of production [economic basis] . . . (these forms are of course more or less naturally evolved, but at the same time also the results of a historic process)” . Thus Marx’s naturalism attempts to deal with history within history as a descriptive science. It is this faith that all history has a purpose that has induced many historians to rationalize past history according to their own prejudices. They arbitrarily select data to be significant that fit their own personal opinions concerning reason in history. These historians reject the idea of history as a descriptive science. Considering history as a descriptive science is very difficult due to the lack of uniformity with regard to historical entities and concepts. Historical study which is along the lines of descriptive science corresponds to fields like political science, sociology, economics, etc. The difficulties, which we won’t bother to discuss here, that these fields of study run into lead many historians, perhaps justifiably, to reject these fields as valid alternatives for prediction. Hence history has come to stand for the side of history that attempts to find reason in history (social sciences becoming the attempt to achieve a descriptive body of knowledge). Historians, nonetheless, are very often unfaithful to the original Hegelian principles. Hegel conceived of history as the manifestation of the Spirit in time. Reason, itself, achieved its own self-comprehending unity not in the historical mode; thus, as above, the essence and meaning of history are not in history itself (only a manifestation of the Spirit). Historians, on the other hand, often fail to achieve this level of abstraction and attempt to see reason in history. Either that or they even less responsibly attempt to apply their own preconceived notions to the study and organizing of history. Such an historian was Marx, himself. Although he had scientific notions, he never completely attained a descriptive method. Instead, his naturalism was only a decline in the level of abstraction to an attempt to impute reason in history. Marx would probably assert that the meaning and essence of history is within history. (Had he been a purely descriptive scientist, he would say that history is self-contained but that it has no real meaning.) 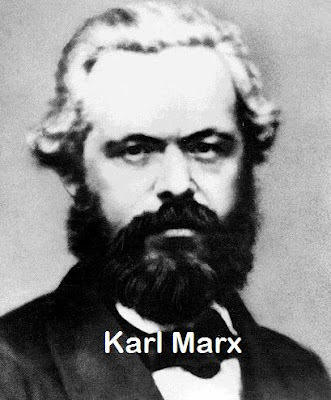 Marx, however, had his own prejudices which he put into history, and thus, rather than achieve an improvement of Hegel (his analysis of Hegel’s weaknesses above appear to be profound), he represents a retrogression from the completeness of Hegelian thought. To return to Mr. Löwith’s original question, it now becomes a matter of seeing the essence and meaning as ultimately outside of history. History in our age is a partial appropriation of the Hegelian method without the acceptance of the rest of Hegel’s philosophy which validates it. Karl Löwith, From Hegel to Nietzsche, the Revolution in Nineteenth-century Thought, Holt Rinehart and Winston, New York, 1964, p. vi. Georg Wilhelm Friedrich Hegel, The Philosophy of Hegel, ed., by Carl J. Friedrich, Random House, 1954. Karl Marx and Frederick Engels, The Economic and Philosophic Manuscripts of 1844, Wilder Publications, 2011, p. 175. Karl Marx, Pre-capitalist Economic Formations, International Publishers, 1965. Karl Marx, The Economic and Philosophic Manuscripts of 1844, Wilder Publications, 2011, p. 185. Löwith, op. cit., p. 217. Lawrence S. Stepelevich, “Reflections on Hegel”, The Intercollegiate Review, 2:3, November-December, 1965, p. 214.